Inflatable Water Slide - water slide with pool - New Design Kids or Adults Water Slide For Sale Commercial BY-WS-011 - Guangzhou Barry Industrial Co., Ltd. 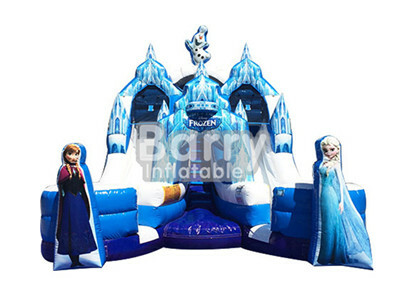 Perfect for a Frozen Theme Water Extravaganza! Amazing amount of fun. Kids climb up the middle of the unit and race down the slide against each other. At the end of the slide there is a pool of water for a safe landing. Stay cool and fresh in this super fun unit!